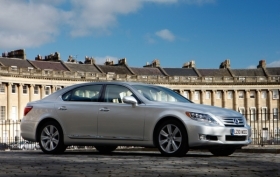 TOKYO (Bloomberg) -- Toyota Motor Corp. is preparing to recall 11,500 Lexus LS sedans worldwide for problems related to steering. The cars were sold in the United States, Europe and China and in Japan. In Japan, customers have complained about wheels not returning to original positions fast enough after making turns, Iwasaki said. The problem is both mechanical and software- related, she said. Toyota said it is preparing to issue the U.S. recall on Friday for four LS models: the LS 460, LS 460 L, LS 600h, and LS 600h L.